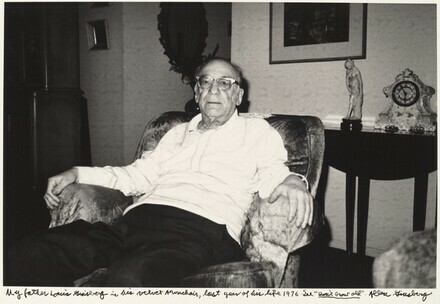 Home » Collection » My father Louis Ginsberg in his velvet Armchair, last year of his life 1976. See "Don't Grow Old." My father Louis Ginsberg in his velvet Armchair, last year of his life 1976. See "Don't Grow Old."